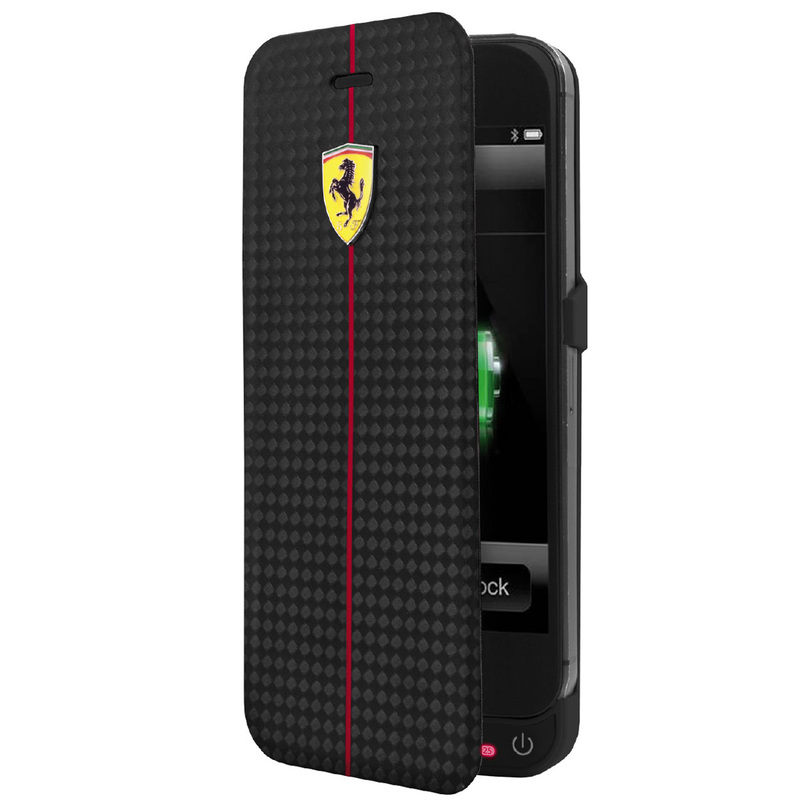 Beautiful, protective Ferrari case that includes an integrated, rechargeable battery that provides up to 90% additional power to your iPhone 5 or 5S. This can give you an additional 10 hours of video or 40 hours of additional music play time or 10 additonal hours of 3G communication! 100% Genuine Ferrari licensed & approved product. New and factory sealed.